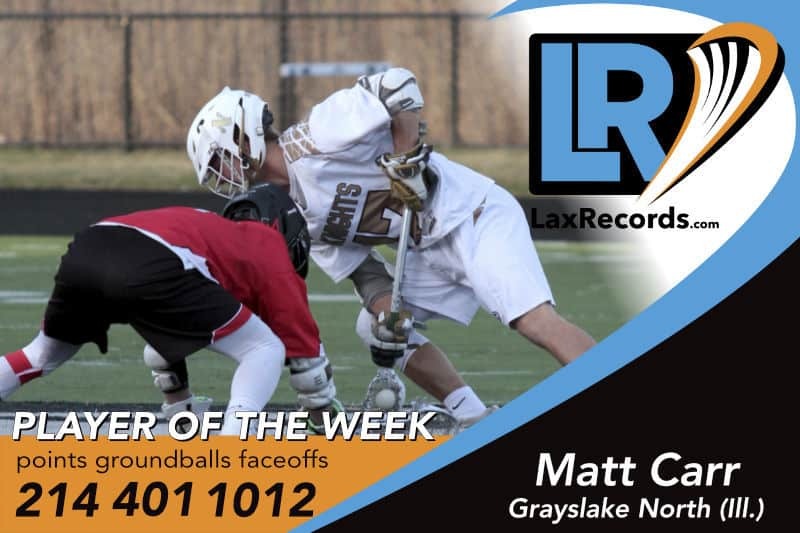 Matt Carr from Grayslake North (Ill.) is LaxRecords.com's Player of the Week for May 21, 2018. 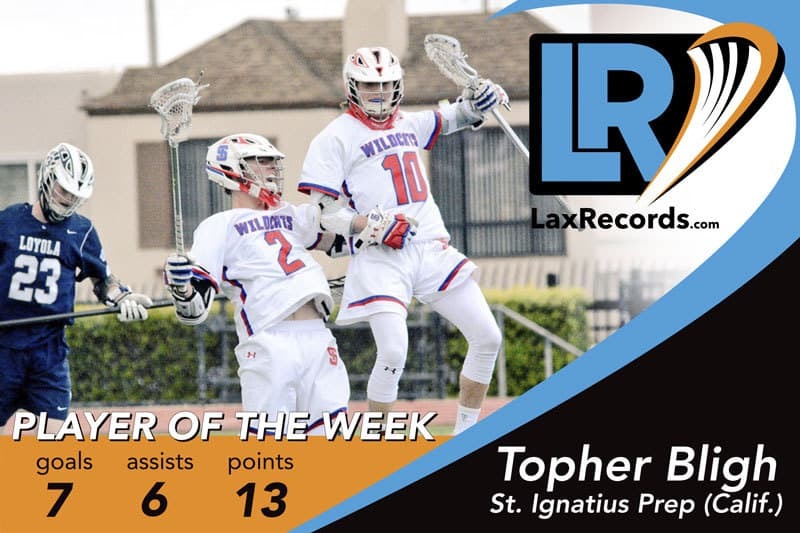 The senior passed several milestones in the final week of the regular season. 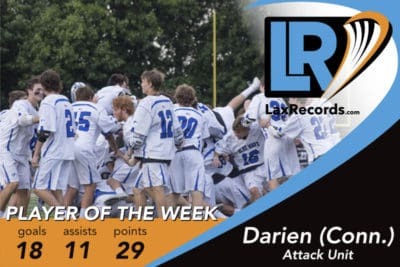 The Marquette commit won the 1,000th faceoff of his career and passed 250 wins on the season and reached 200 career points. 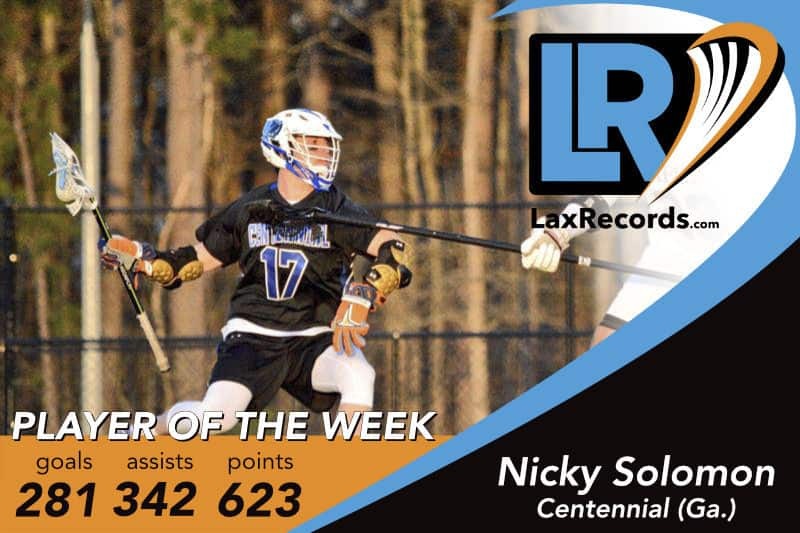 He also reached 400 ground balls in his high school career. 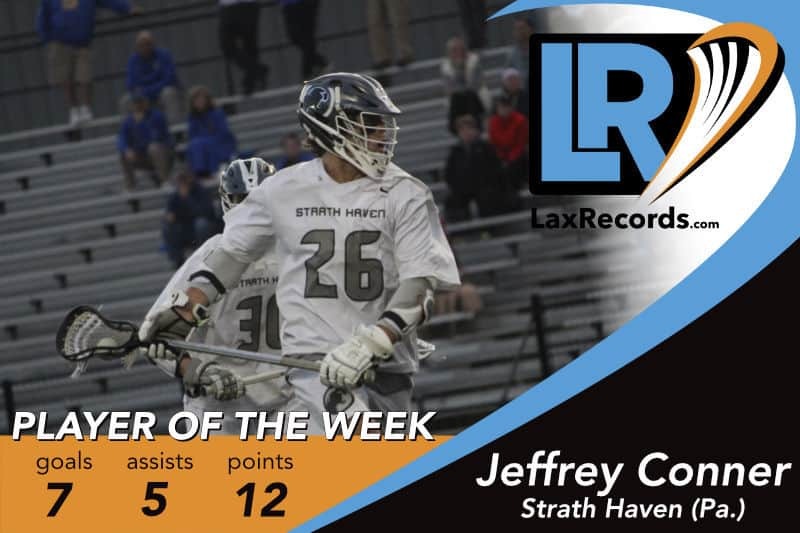 Carr has won 70 percent of his faceoffs at Grayslake, going 1012 for 427. 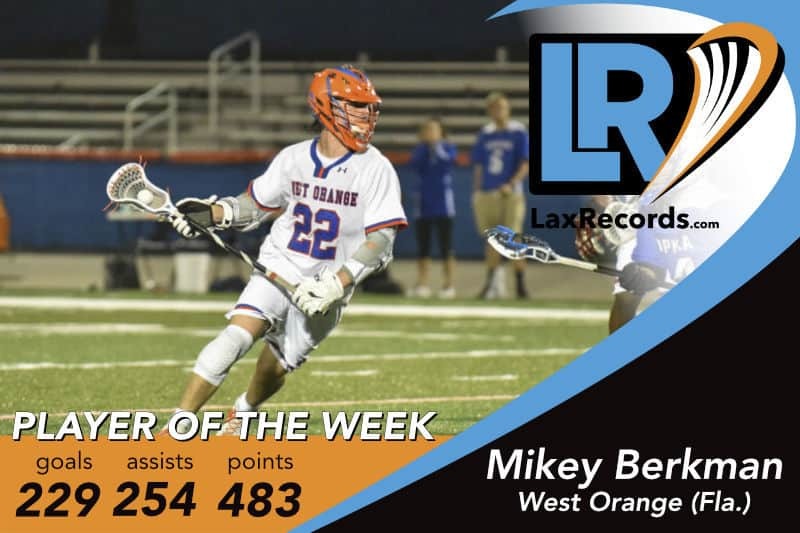 The midfielder has 45 goals and 36 points through the regular season, in addition to 135 ground balls. 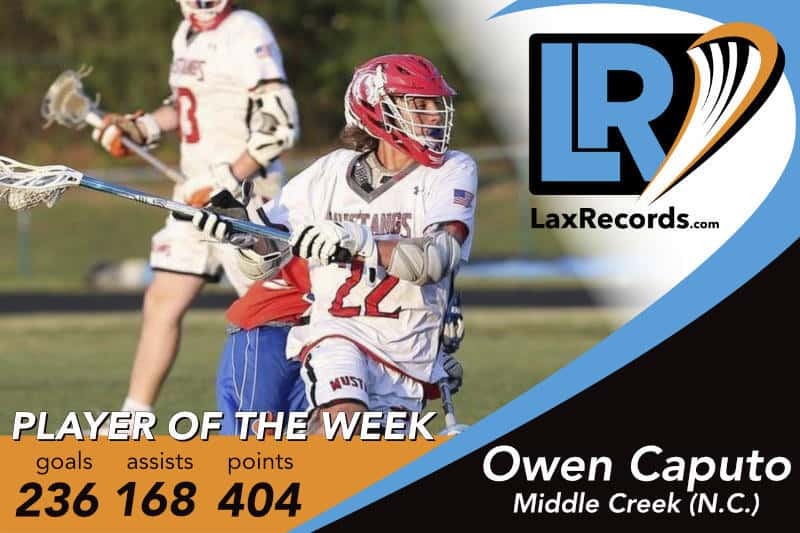 Elder was named the MVP of the North Carolina 4A state championship game after winning 19 of 25 faceoffs, scooping up 17 ground balls and scoring three goals in a 13–11 win over Middle Creek (N.C.). The senior totaled nine points in the Cardinals final two games of the season to lead them to their second-straight MIAA A Conference title. 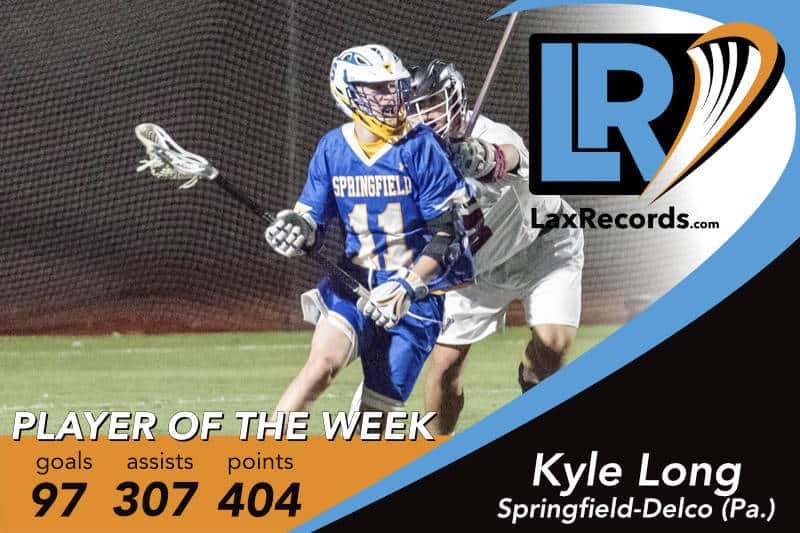 Kelly dished out two assists in the championship game against Boys’ Latin after posting five assists and two goals against Loyola-Blakefield in the semifinal. 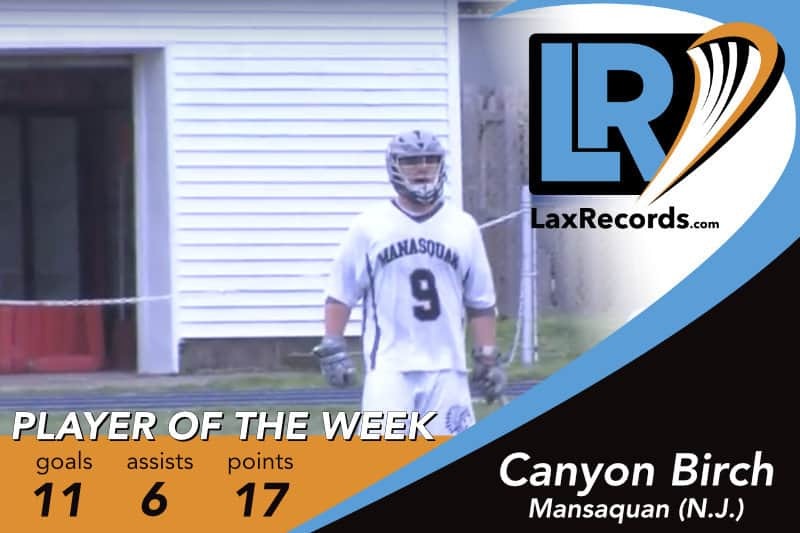 The junior set a school record with nine assists to help Wayland post its first win over Lincoln-Sudbury (Mass.) since 1999 last week. Wayland defeated the defending Division I champion 13–12 in overtime. Lee became the 15th-known player to surpass 1,000 career saves. The senior completed his career with 1,016 saves in four seasons. 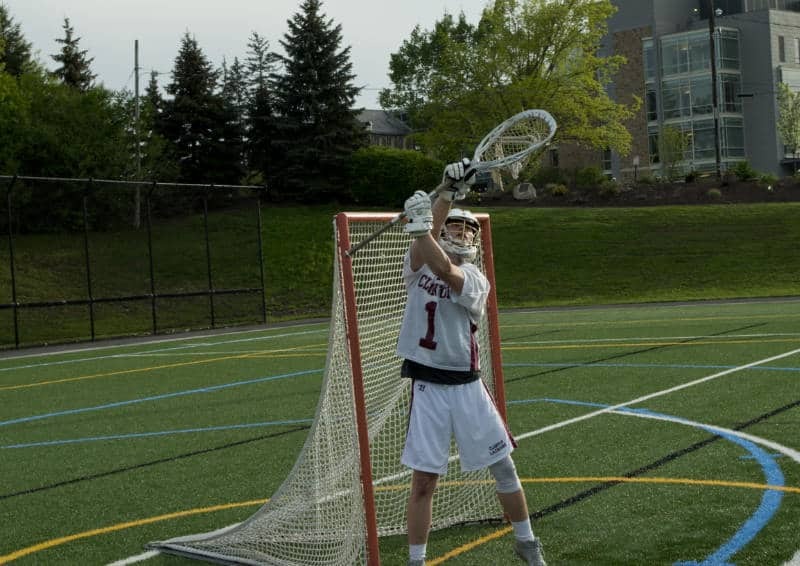 The Vassar commit finished his senior year with 274 saves, which is a career high. 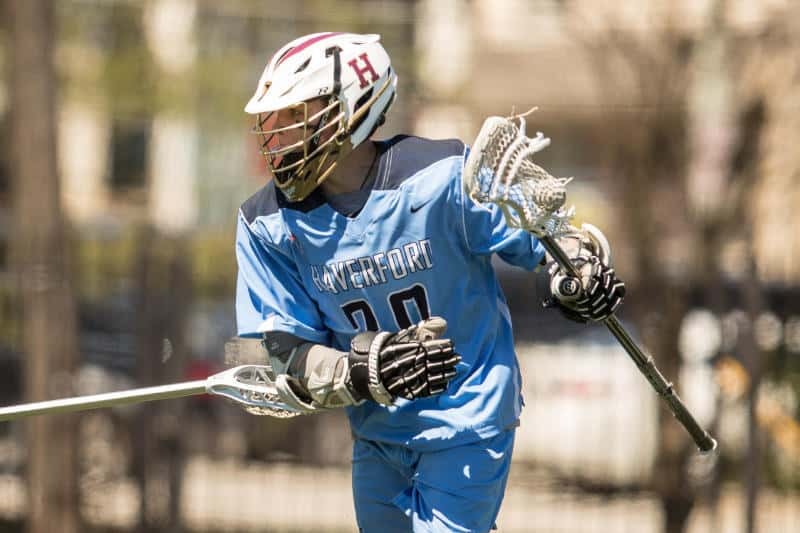 The senior scored six goals and four assists as the Fords defeated Episcopal Academy (Pa.) 15–9 in the Inter-Ac Championship semifinal. 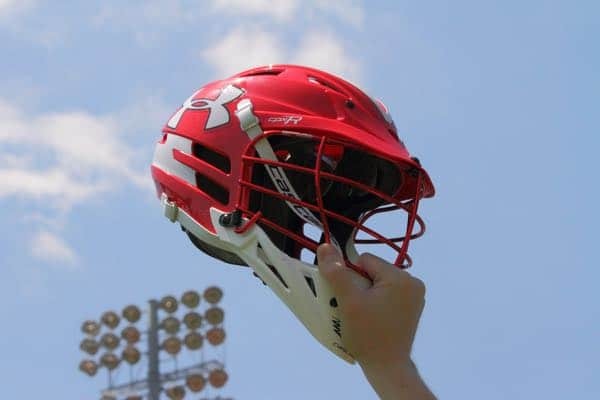 This is the first time the Inter-Ac has a tournament to decide the conference champion and it comes down to Haverford School and Malvern Prep (Pa.) on Monday. 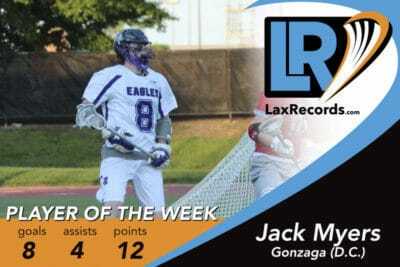 Malone has 54 goals and 38 assists heading into its final game of the year. Nicholas led the Flyers with four goals to help his team to an NSCHSAA Class AA championship game victory. 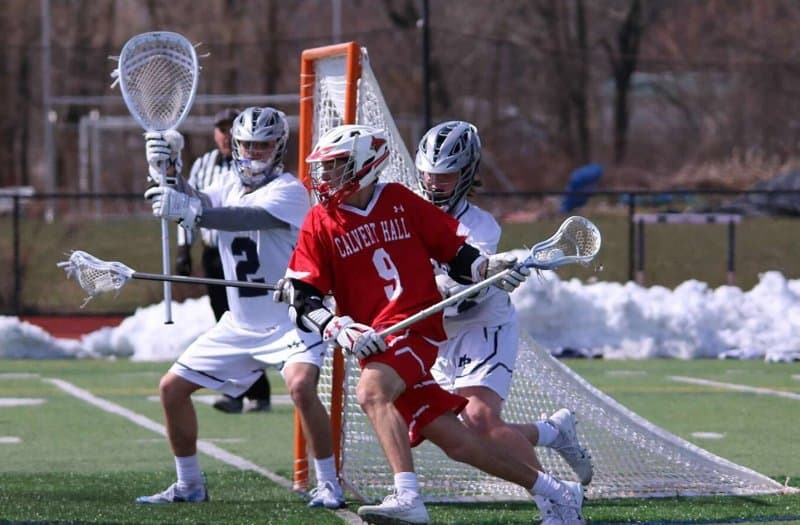 Chaminade defeated St. Anthony’s (N.Y.) 14–13 for the win. 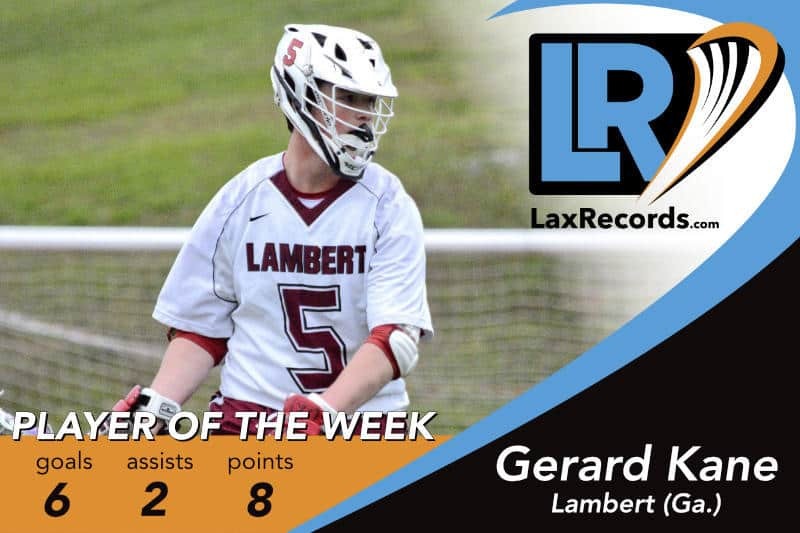 The junior totaled eight points in Lambert’s semifinal, overtime win over Centennial (Ga.) last week. Overbay scored four goals and four assists in the victory. 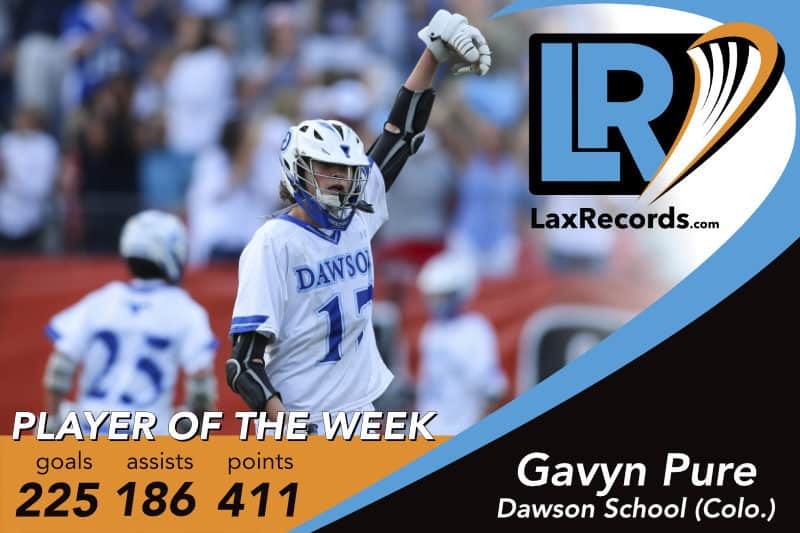 He dished out four assists as the Longhorns defeated Lassiter (Ga.) 12–6 to win the Class 6A/7A state championship. The sophomore totaled 11 points on eight goals and three assists to lead Weddington to its second-straight Class 1A/2A/3A state championship on Friday. Todaro was named the games MVP for his performance. 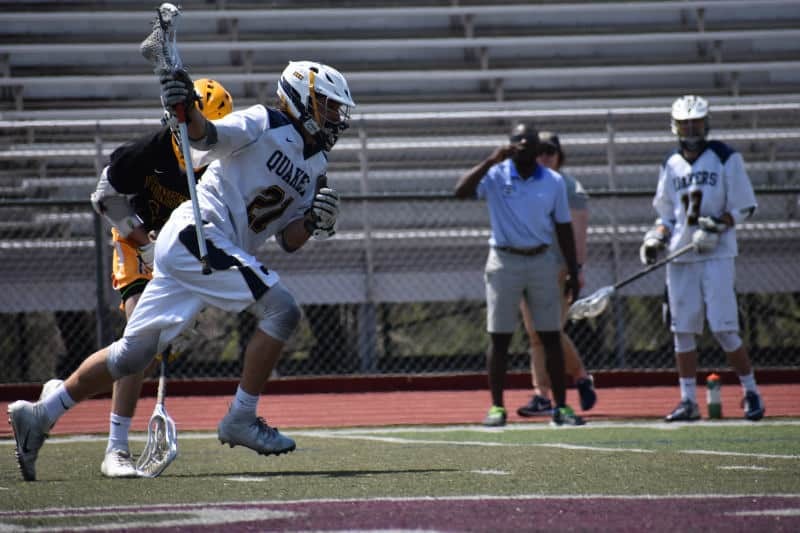 The junior won 17 of 20 faceoffs and scored two goals as Penn Charter defeated Springside Chestnut Hill (Pa.) 13–6 in the first round of the Inter-Ac tournament. He went 14 for 19 against Malvern Prep (Pa.) in the semifinals to finish the year with an 80.77 percent win rate. The junior surpassed 1,000 career faceoff wins with that final game. 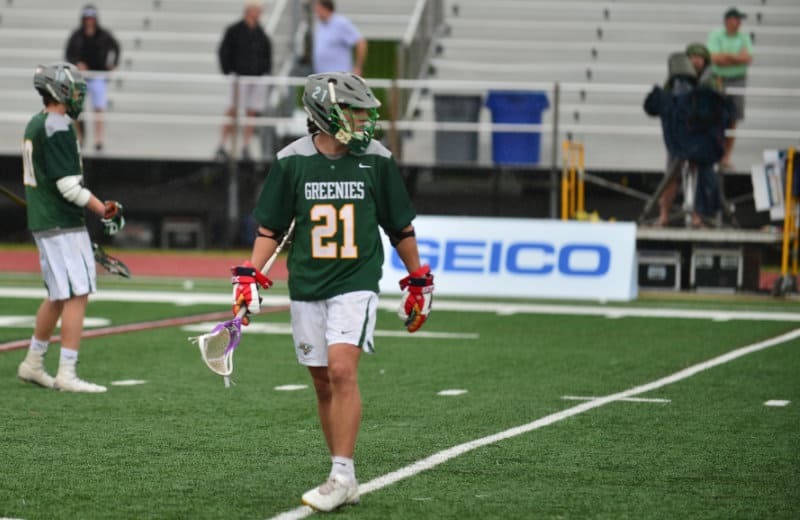 The senior scored seven goals, including four in the first quarter, to help Christ School to an 18–9 win over Providence Day (N.C.) in the NCISAA Division I championship. 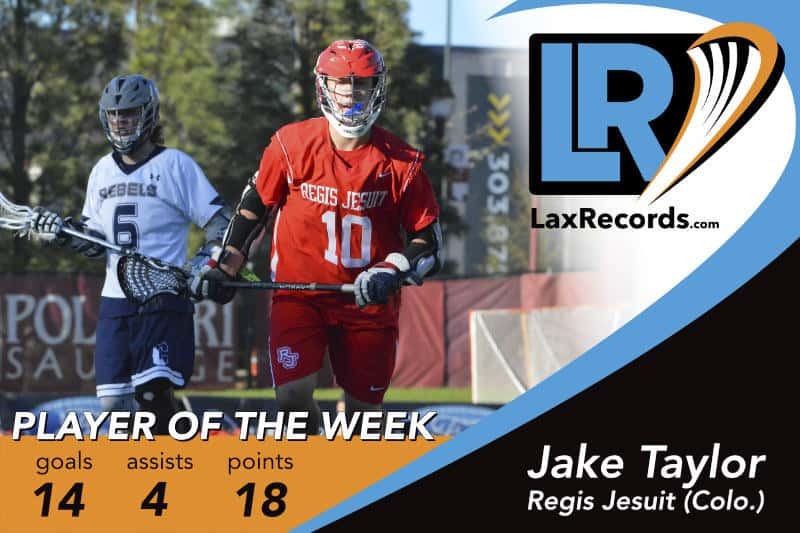 The junior won 46 of 59 faceoffs to help the Bulldogs to a region title last week. 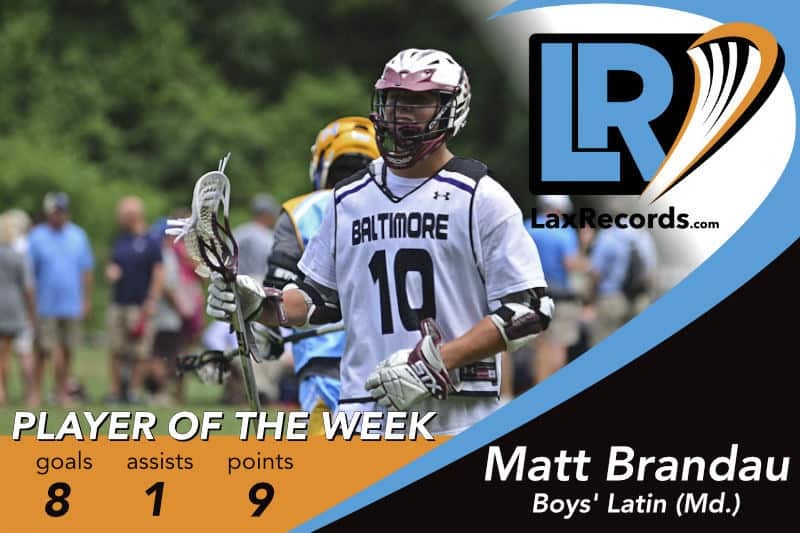 Willeford won 90 percent of his 20 chances against Whitman (Md.) 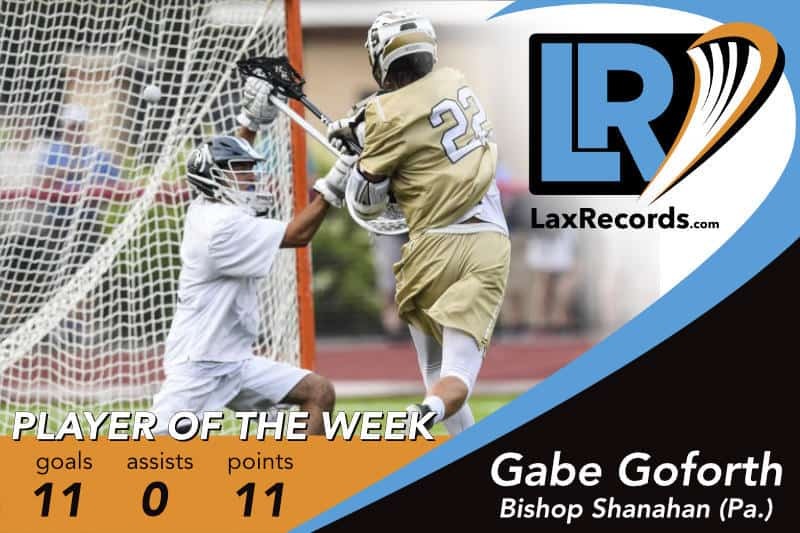 on Tuesday and followed it up with a 15-for–20 performance against Quince Orchard (Md.) on Wednesday. 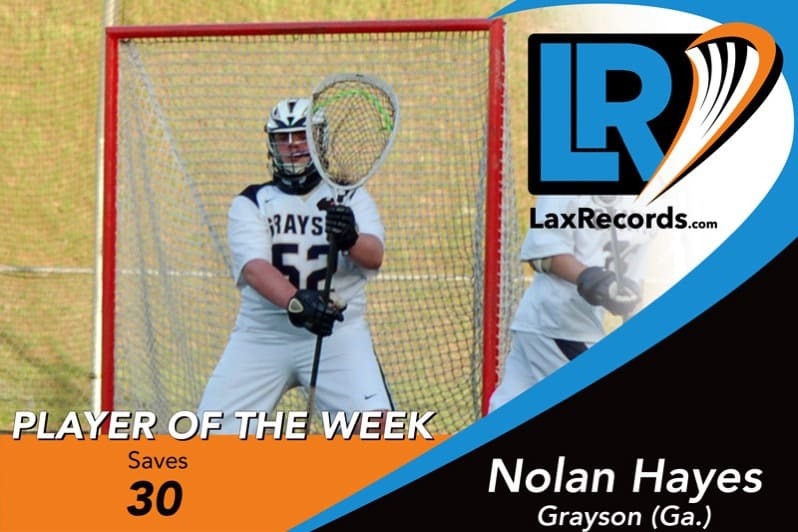 He capped the week with a 14 of 19 performance against Howard in the state semifinals.